Are your marquees safely erected with trained staff? All of our marquees are bought from reputable suppliers who comply to industry standards. 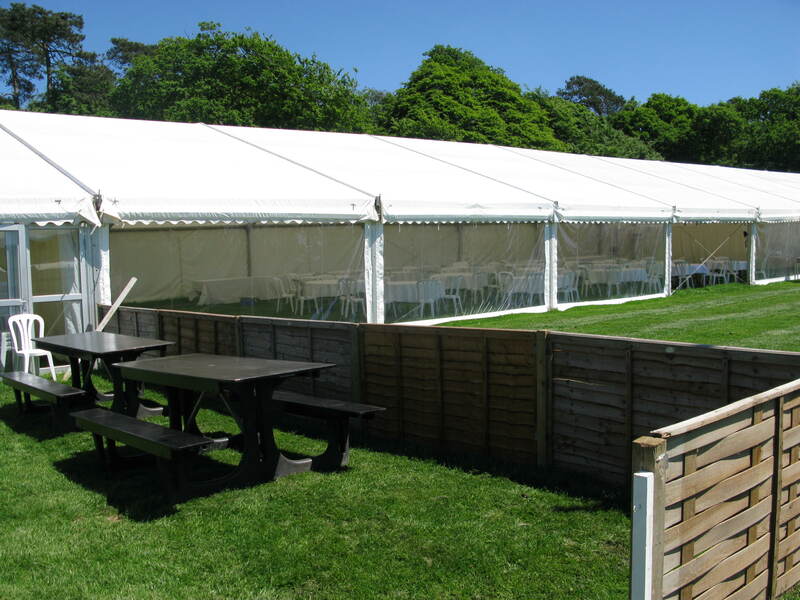 We are members of MUTA, renowned as the Association for highly regarded marquee hire companies. We and our marquee teams get audited by MUTA annually to ensure we comply to their guidelines and requirements of membership including health & safety. Our installation teams are fully trained, with team leaders holding Temporary Structures NVQs. They are substantial structures with PVC covers as described above, they are wind loaded up to 70 mph in normal conditions but can be put on tarmac with water filled stabilisers. Please discuss this option before you proceed as the maximum size is limited. I'm organising a Christmas Fair. Can you provide heating for the marquees? Yes we can provide thermostatically controlled heaters and solid doors to help keep the heat in within marquees in colder weather. I'm new to running an event and need your advise. Would you arrange to visit the site to help me make the right choices? Yes. Events usually need quite a lot of discussion before we can get an accurate quote to you. Th earlier we can be involved the better. The best method is for one of our team to meet you at the proposed venue when we can measure the area, advise the optimum size of marquee and discuss other equipment you may want to consider. Not always, but it entirely depends on the type of event you are holding and your budget. We do advise that if you are running a fair with exhibitors (particularly in the winter) a levelled steel framed timber floor is the very best surface. Can you guarantee an installation date for the marquee because there are many people dependent on having it the day we want it? We will always agree an installation date or a work plan if several marquees are required. We aim to meet this agreement but it is always dependent on weather conditions in the run up and the day. We will keep you informed is our plan needs to be changed. I'm not sure how many loos I need? We have unknown visitor numbers and our event runs for 3 days. We don't have a water supply on the field. 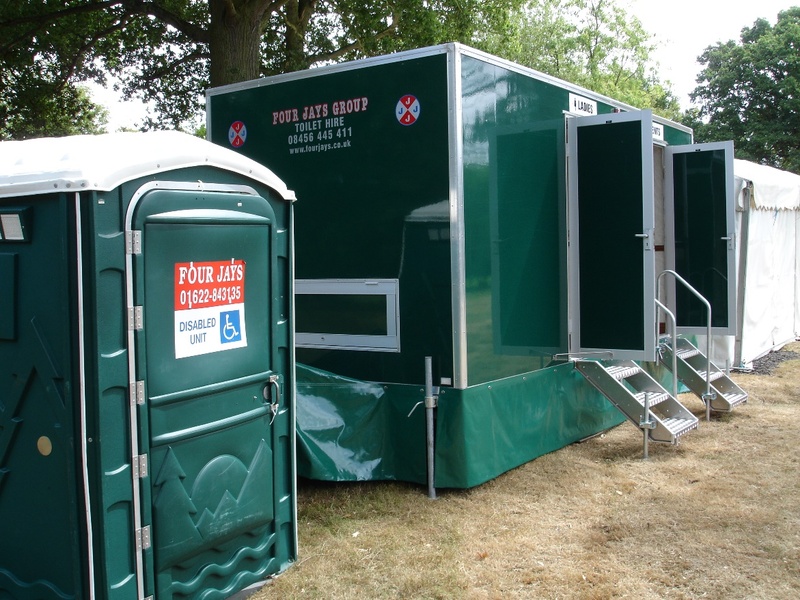 Again we can advise on the number and style of toilets that would cover your event. An idea of visitor numbers is helpful to us plus you may have exhibitors and staff on site. We supply re-circulating toilets that do not need a mains water supply. When you have toilets on site for longer than a day we provide daily servicing including cleaning, disposal of waste and re-charging of water. We can also supply attendants for the duration of your show to cover the day-to day management of the toilets. Please ask one of our team for details. Do I need to insure your marquees and any other equipment I have from you? The hirer is responsible for any equipment which is lost, stolen or damaged whilst on site, therefore we would recommend that you insure the items to cover payment of the replacement costs if any of these eventualities were to happen. You will probably have insurance cover for your event and it is prudent to confirm with your insurers that cover extends to hired-in equipment. I am chair of our village fete committee and wondered whether we can just hire furniture from you. Yes we can supply tables and chairs of all styles without a marquee. Delivery charges apply. You may want to think about other products we can help you with; toilets, chillers, barbecues, etc.